WordPress hasn’t failed in impressing its customers via fully-featured versions. Talking about the all-new WordPress version 4.1, it won’t be wrong to say that the community has yet again done a brilliant job. Named as “Dinah” in the honor of late Jazz singer Dinah Washington, this WordPress version is available for a manual download and/or update in the WordPress dashboard. 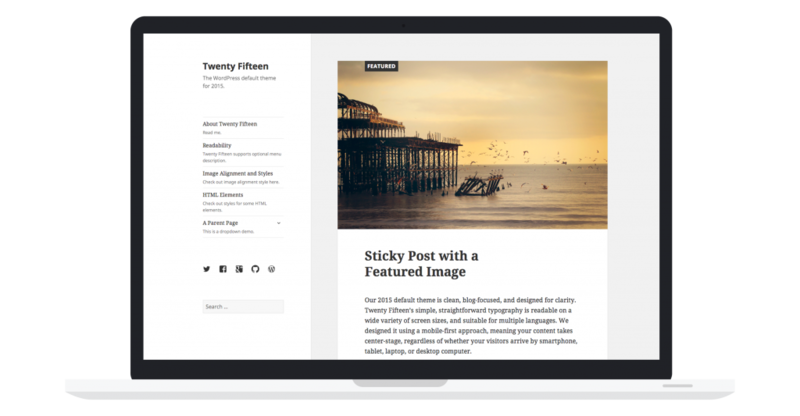 Specially designed to suit the needs of WordPress bloggers, Twenty Fifteen is the default responsive wordpress theme available in WordPress 4.1 ‘Dinah’. Rich in beautiful typography, featured images, custom header, custom menus and a clean design, Twenty Fifteen renders a perfect visual excellent to your WordPress blog/website. Unlike the previous versions of WordPress, the version 4.1 comes with an innovative Distraction-free writing mode that allows you to type the content(here, I’m referring to the content which you want to showcase on your WordPress blog/site) without putting in a lot of effort. You are free to access ample number of editing tools that allow you to edit your draft quicker. If you’re a WordPress user who’s busy playing with images for your site/blog then WordPress 4.1 version will definitely serve godly. With this new WordPress version, you can simply click on an image and start aligning it directly using the inline image editing toolbar. In today’s world where social media marketing has become a huge wave, WordPress 4.1 version comes loaded with vine embed feature allowing you to embed videos via their respective URLs. As a regular WordPress user, you often tend to get confused on choosing the right plugins for your site/blog. Thanks to the inception of WordPress 4.1 Dinah, you can now receive plugin recommendations just with a simple click. If you view WordPress 4.1′s admin dashboard, you’ll be able to find a ‘Recommended Plugins’ tab, clicking on which you’ll be offered a comprehensive list of plugins you can try for your website/blog. Here, it is interesting for you to note that all the plugin suggestions are based on the plugins that are already installed in your site/blog. Therefore, if you are looking for a plugin that caters a specific purpose, Plugin Recommendations feature can serve as a handy tool. With WordPress 4.1 Dinah, you can avail the flexibility of choosing your preferred language during installation. Plus, you are even free to switch between multiple language after having installed the new WordPress version. Don’t get surprised! WordPress version 4.1 has been translated for a whopping 40 languages spoken in different parts of the world. Equipped with a new Session UI, WordPress 4.1 version automatically detects multiple active sessions. By clicking the “Log Out Of all Other Sessions’ you’ll be logged out of every session except the ongoing one. This serves as a great sigh of relief under situations wherein you’ve forgotten to log off from a public/shared device such as laptop, a smartphone or a desktop. If you are a WordPress theme and plugin developer then WordPress version 4.1 is for you. With this update, you can now use nested clues, conditional logic and multiple operators within your date, meta and term queries. If you are about to develop a WordPress theme, then choosing the version 4.1 will turn to be your best fit simply because it allows you to control the document title without getting clashed with the auto-generated title tags. The introduction of Twenty Fifteen theme in WordPress 4.1 Dinah has paved way for improvements to the core’s theme API. 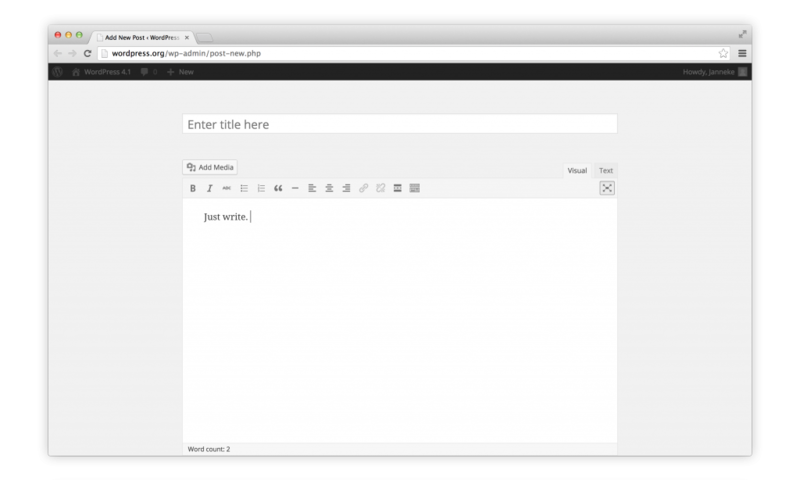 The two new tags introduced in this latest version of WordPress are: Archive Templates tag and Navigation Template Tag. While the Archive Templates tag serves handy under situations where your WordPress theme doesn’t have dedicated template for data archives, the Navigation templates tags allow you to display a full-fledged navigationsnippet, allowing you to hone your theme’s navigation. With such scintillating features available with WordPress 4.1 Dinah, who wouldn’t want to install it in their WP site/blog. If you too own one then don’t give a second thought to leveraging WordPress 4.1 features for a fabulous WordPress experience.